OGG Microservices Architecture has been introduced from OGG version 12.3. A kind of architecture mainly designed on the perspective of Cloud operations. So, the older one is now called as Classic Architecture. 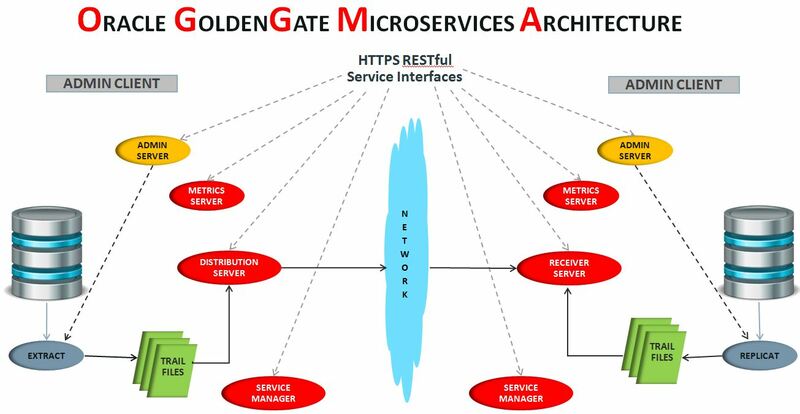 In this article, I would be explaining about the Installation and Configuration of Oracle GoldenGate Microservices Architecture. Why you need the above three directories? What is the need of it? 4. Now, navigate to the directory where binary is stored. 5. Navigate to the below directory and run the runInstaller file to start the installation of OGG. 7. Choose option according to your database version and click next. 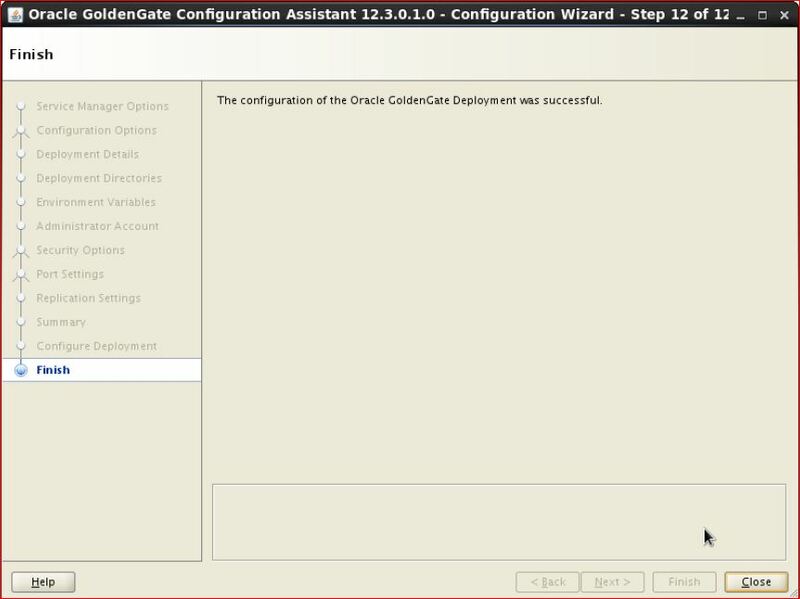 Here, I have installed Oracle Database 12c and hence I have selected the Oracle 12c option. oggca.sh script under $OGG_HOME/bin will help to deploy OGG services for MA. 3. 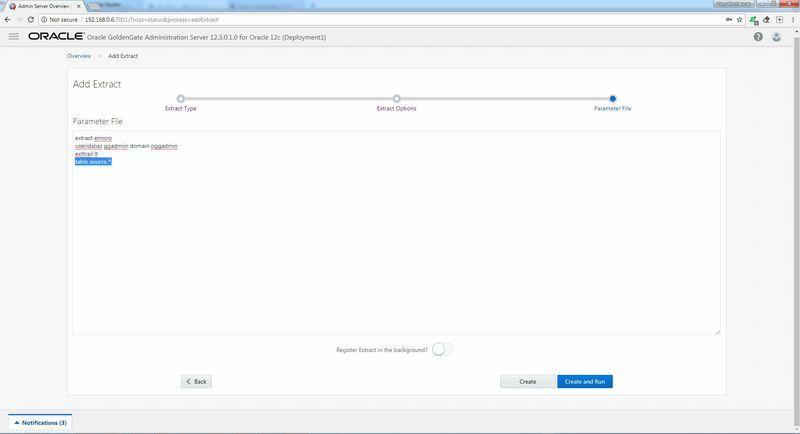 Click on Add new deployment. 4. Give a name to deployment and software home will be OGG HOME. 9. Choose the administration server port. If you click on Distribution port it will be automatically set to next port. Eg; If you set admin server 7001, Distribution server will be 7002 and son on. 11. Save the response file if required. Also review all the port numbers and environmental variables before proceeding and ensure that they are correct. 13. Run the script and click OK.
14. The configuration of OGG deployment is completed. 3. This will show the service manager which has all the service under it. 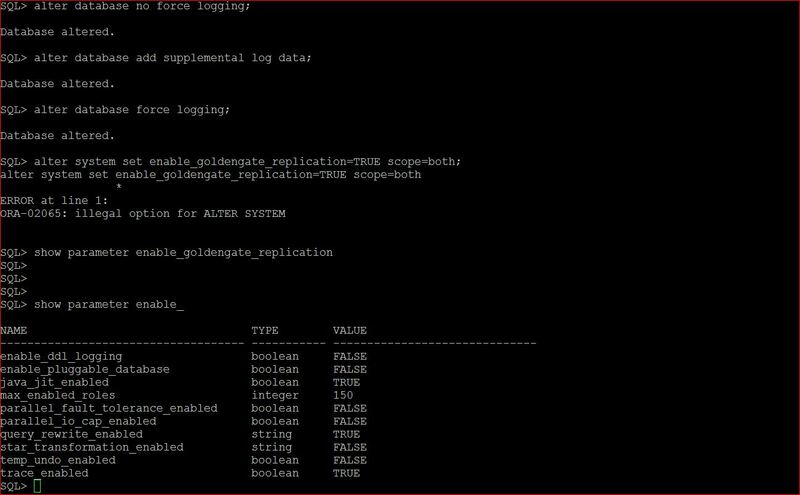 The parameter ENABLE_GOLDENGATE_REPLICATION is not present in the Oracle 12c database and hence it has thrown the error. Please ignore it. 1. 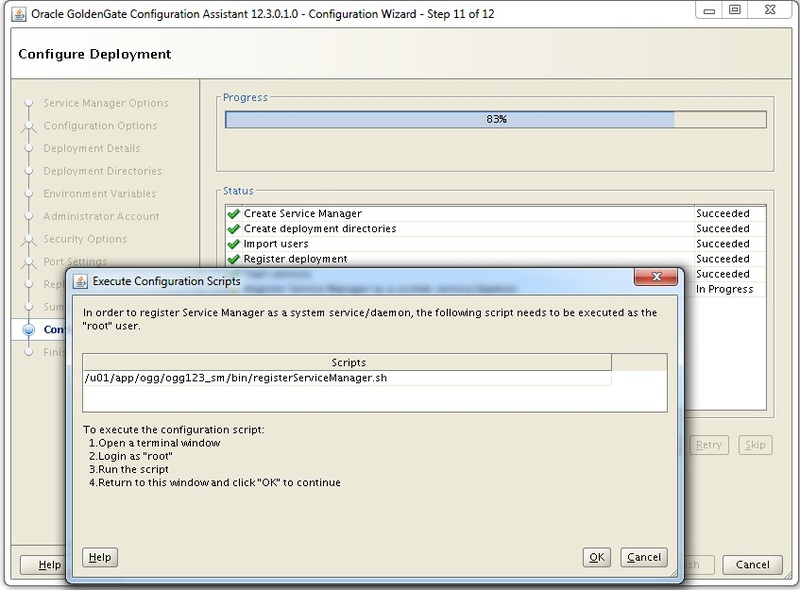 Already we have opened the Service Manager console. 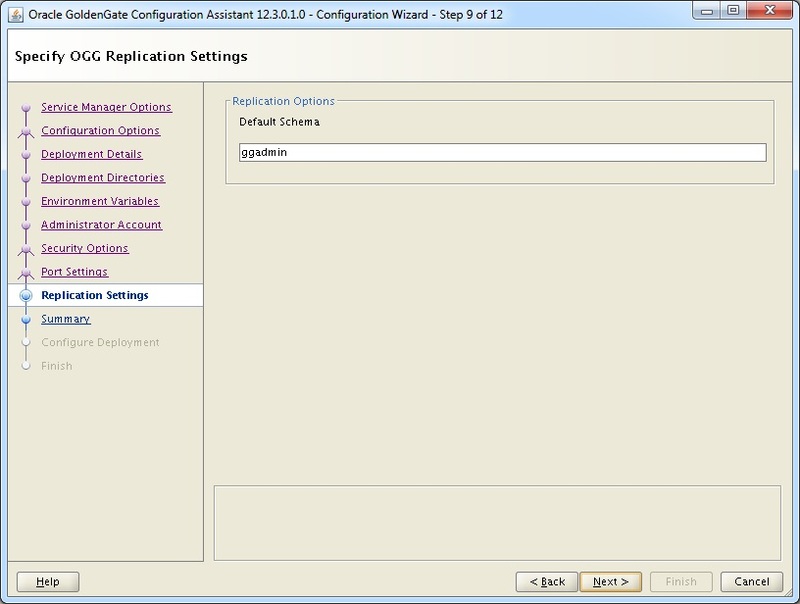 Click on Administration Server to configure extract/replicat process. Note: Each and every Services has it’s own login page for it. 2. Click on the + symbol to add an Extract process. 3. Select the type of Extract you need to add. 5. In Microservices Architecture, normal userid dblogin is not supported. The default login is using alias stored in credentialstore. First add credentialstore, enter the username details and click submit. 6. Enter the domain and alias that was created in previous step. Give a name to trail file and Click Next. 7. This will show the parameter file. Add the tables which you want to capture. We have added all tables under schema source. Now click the button “Create and Run”. Now classic extract is added and started. 8. Before proceeding with performing DML operations. We need to enable supplemental logging at table level. So stop the process and add schematrandata for schema source. Now the pump is added and it will be received by Receiver server running on port 7003. 1.Already we have opened the Administration Server. 2. 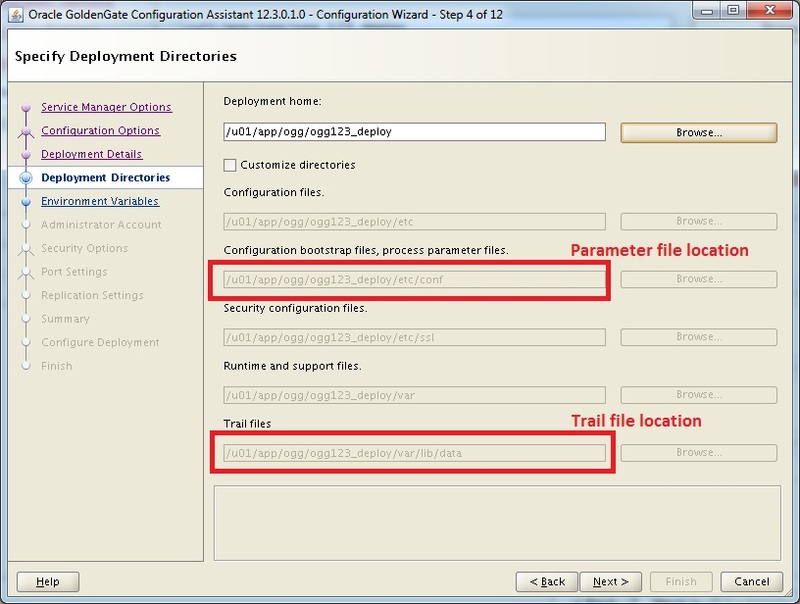 Click on the + symbol to add a Replicat process. 3. 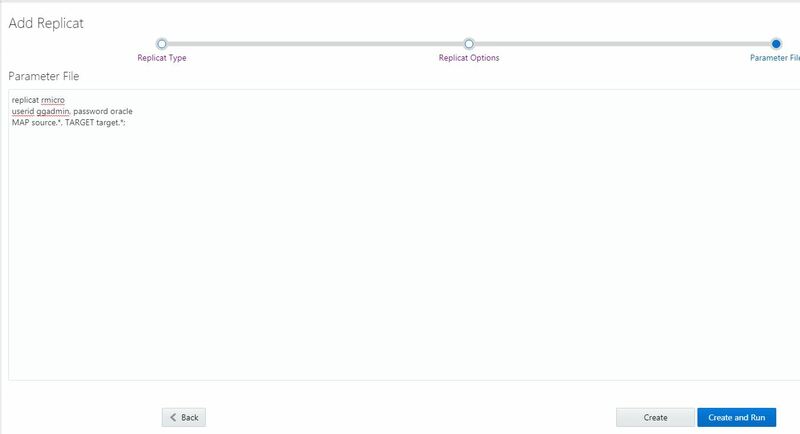 Select the type of Replicat process need to be added. 4. Add the details for the Replicat process. Here the replicat process name is RMICRO. 5. Modify the parameters respectively and click the button “Create and Run”. You can see the replicat process is added and it is running. Create a table on source and target and load some data to it. Insert rows to the table in the source. 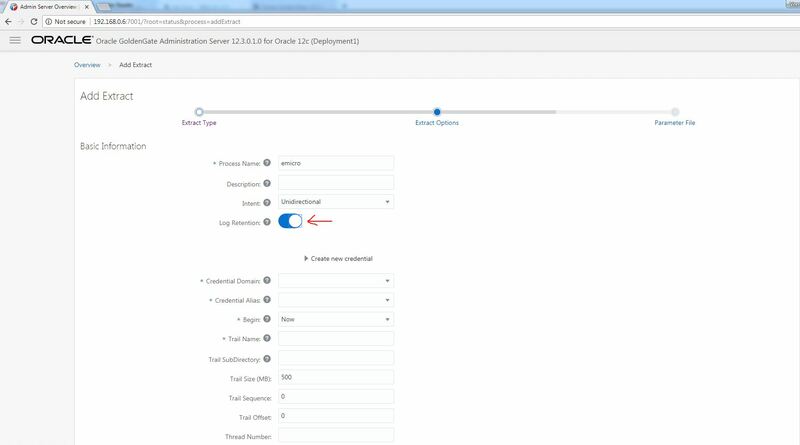 Open the Service Manager console and click the Performance Metrics Server to check the database statistics. Click on the Extract process. Click on the Database Statistics tab in the top to check the statistics. You could see there were 2 INSERTS. Now click the Replicat process. You can again see the 2 INSERT operations under the Database Statistics. Now the check the Target table if the row got replicated. 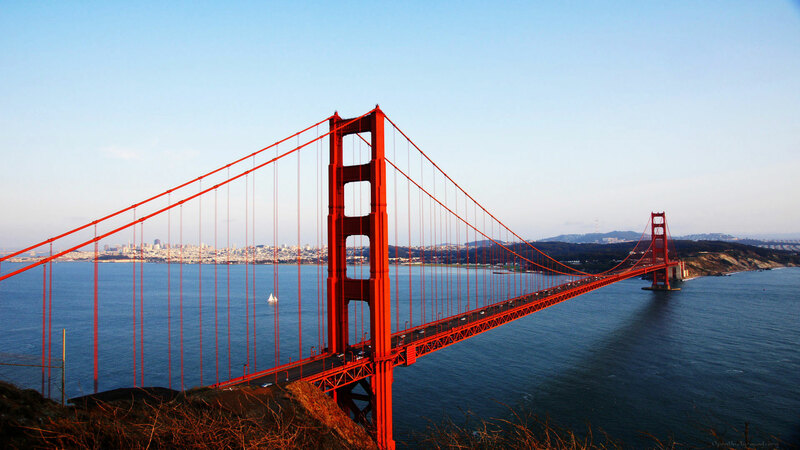 Oracle GoldenGate provides low-impact capture, routing, transformation, and delivery of database transactions across homogeneous and heterogeneous environments in real-time with no distance limitations. From OGG 12.3, a new kind of architecture has been introduced in Oracle GoldenGate known as “Microservices Architecture”. In this article, I will be explaining you the various components involved in it and their roles and responsibilities. Oracle GoldenGate Microservices Architecture can be used to manager the data replication using an HTML interface. The replication processes works with the secure REST API interfaces. In the Classic Architecture of OGG, we need separate tools to monitor the OGG instances. 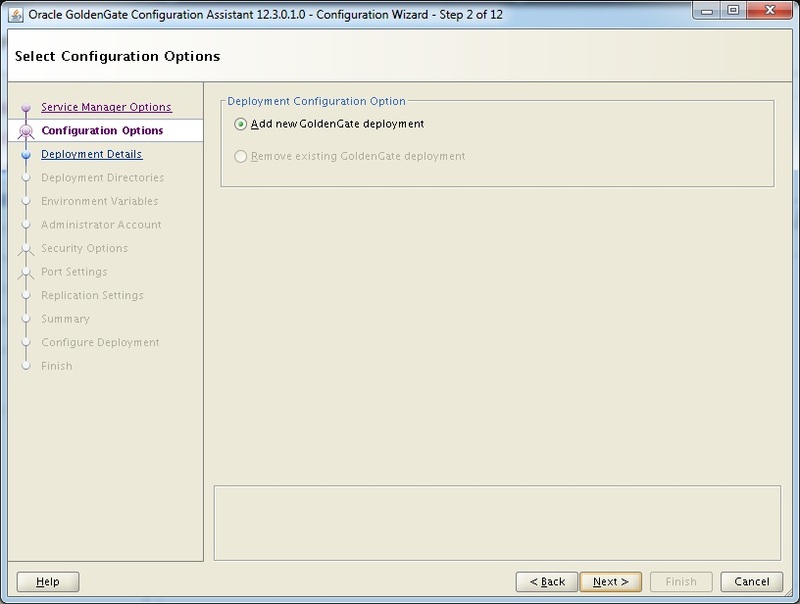 But Oracle GoldenGateMA provides all the tools you need to configure, monitor, and administer your deployments. One of the difference between the Classic Architecture and OGG MA is, in the Classic Architecture you have DataPump process and Server Collector process. But in OGG MA it has been replaced by Distribution Server and Receiver Server. The Extracts and Replicats does not have any change in it. It is the same as the Classic Architecture. Let us see what are the roles and responsibilites of each component of OGG MA. 1. 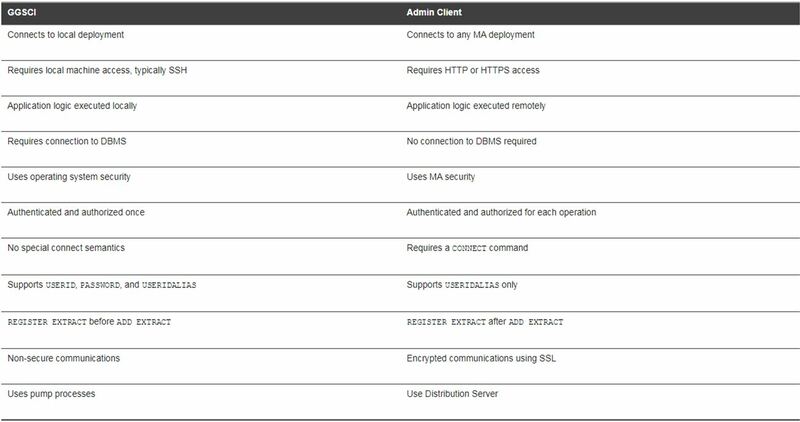 A Service Manager acts as a watchdog for other services available with Microservices Architecture and allows you to manage one or multiple Oracle GoldenGate deployments on a local host. 2. 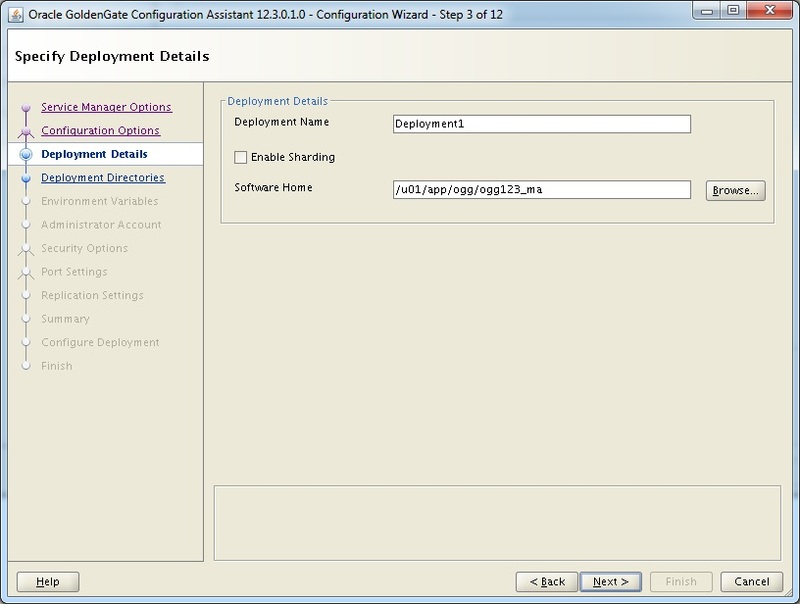 It runs as a service and maintains inventory and configuration information about the deployments. 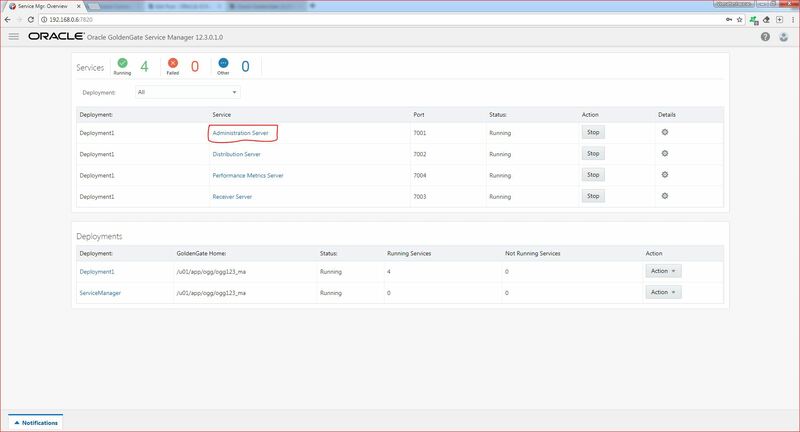 From the Service Manager console, you can start and stop instances, and query deployments and other services. 1. 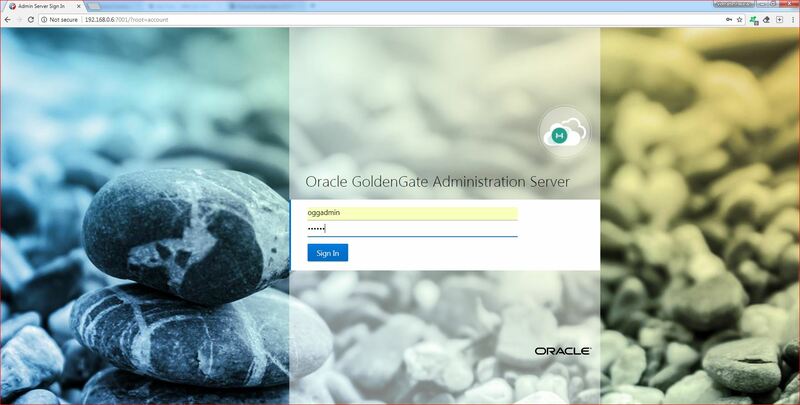 An Administration Server supervises, administers, manages, and monitors processes operating within an Oracle GoldenGate deployment for both active and inactive processes. 2. 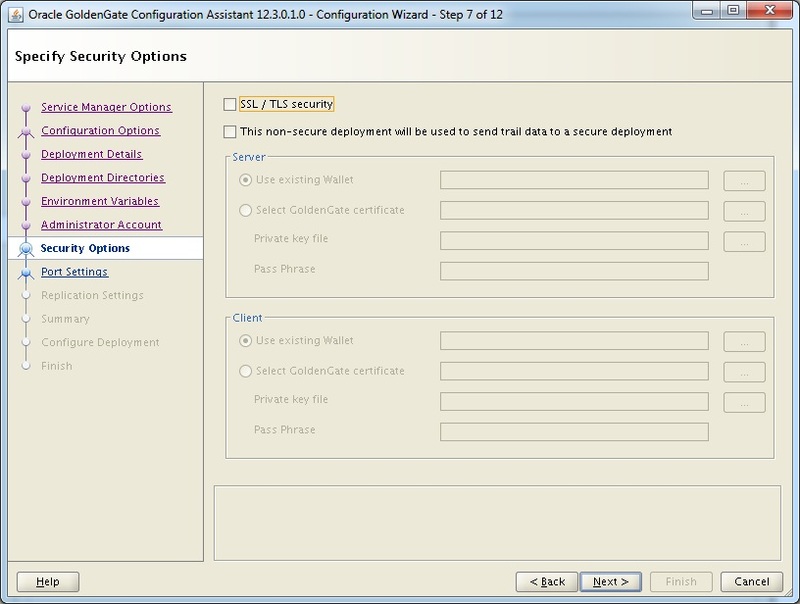 The Administration Server operates as the central control entity for managing the replication components in your Oracle GoldenGate deployments. In Classic Architecture, all these tasks will be taken care by the Manager process where as in OGG MA, the Administration Server will taking care of these tasks. As I mentioned earlier, the Service Manager is like a real manager in your premises 😛 is just a Watch Dog. 3. The key feature of the Administration Server is the REST API Service Interface that can be accessed from any HTTP or HTTPS client, such as the Microservices Architecture service interfaces or other clients like Perl and Python. 4. You really do not want to login to the OGG server where it is installed. 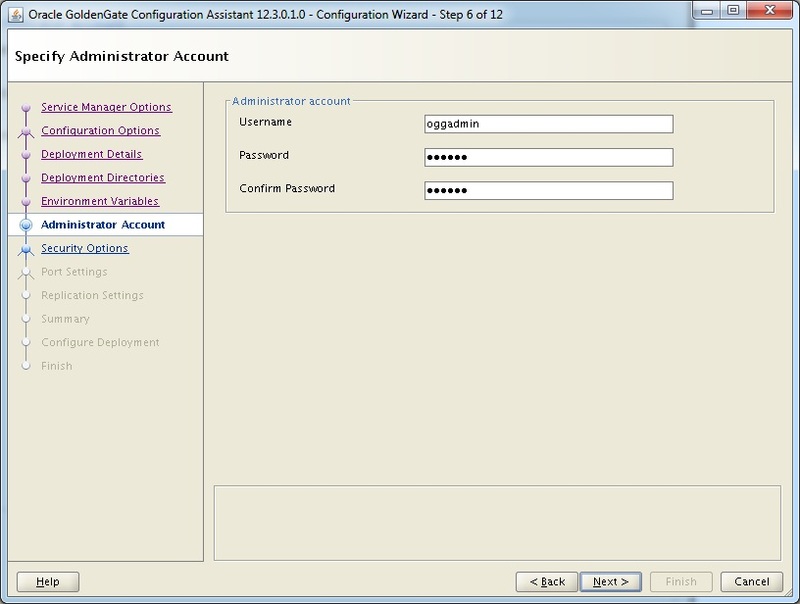 From the Administration server, you can create and manager your local Extract and Replicat processes. Below are the tasks which are done using the Administration Server. 1. Distribution Server replaces the classic multiple source-side data pumps with a single instance service. This server distributes one or more trails to one or more destinations and provides lightweight filtering only (no transformations). 2. Unlike Data Pump process, it is a high performance application that is able to handle multiple commands and data streams from multiple source trail files, concurrently. 1. A Receiver Server is a replacement of the multiple discrete target-side Collectors with a single instance service. 2. It is the central control service that handles all incoming trail files. 3. It coordinates with the Distribution Server and provides compatibility with the classic architecture pump for remote classic deployments. 1. The Performance Metrics Server uses the metrics service to collect and store instance deployment performance results. 2. 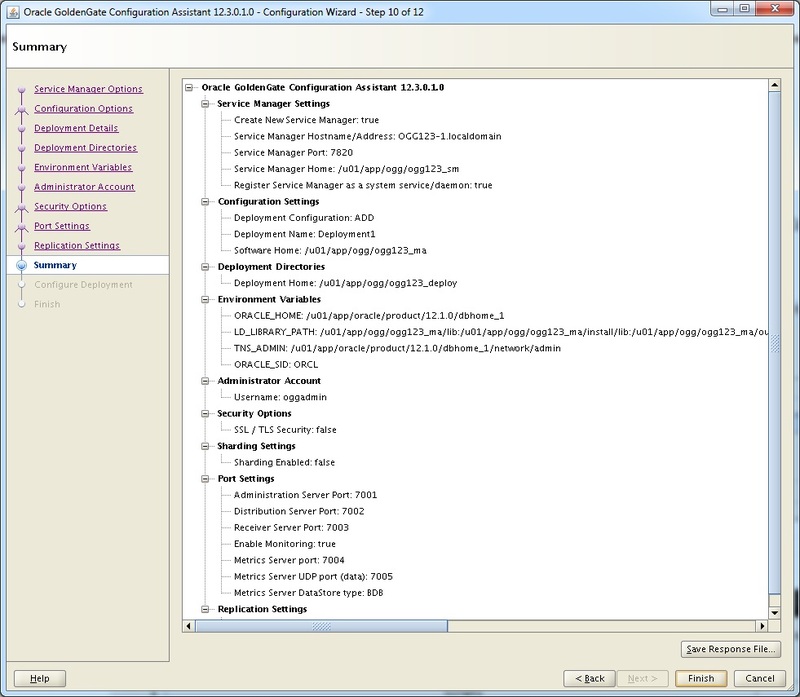 This metrics collection and repository is separate from the administration layer information collection. 3. 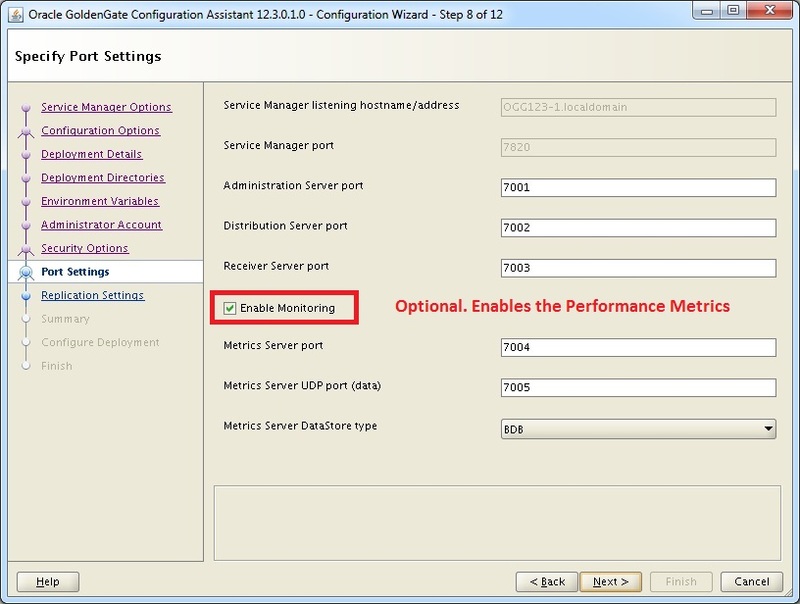 All Oracle GoldenGate processes send metrics to the Performance Metrics Server. It can be used in both Microservices Architecture and Classic Architecture. 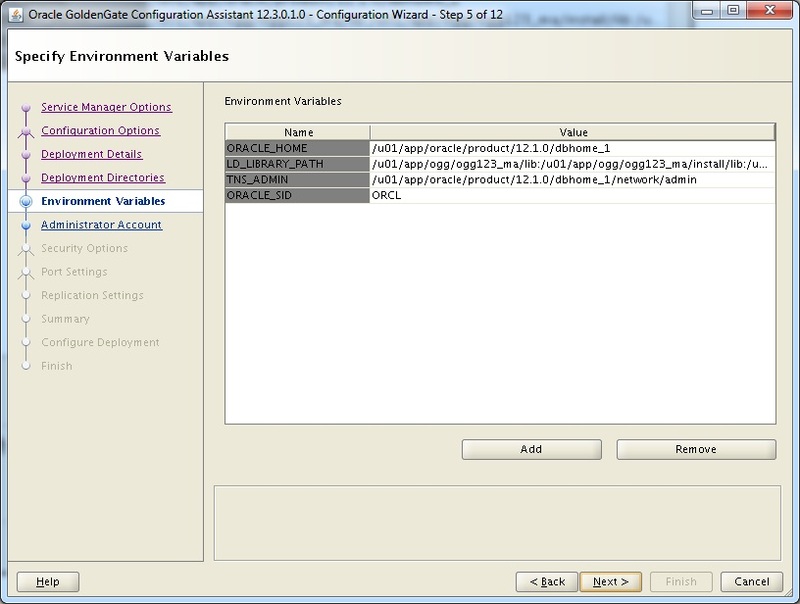 Hence from OGG 12.3, you don’t have DATASTORE for monitoring purposes. 1. There is one more component with this architecture. You might have noted in the Microservices Architecture diagram which is nothing but the ADMIN CLIENT. 2. 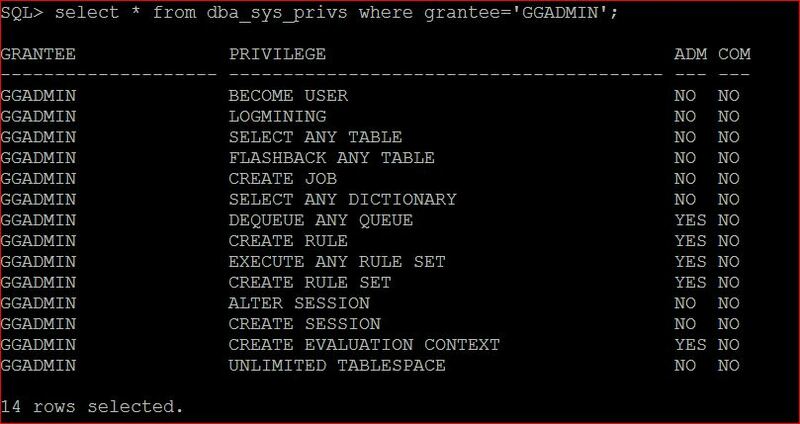 The Admin Client is a command line utility (similar to the classic GGSCI utility). 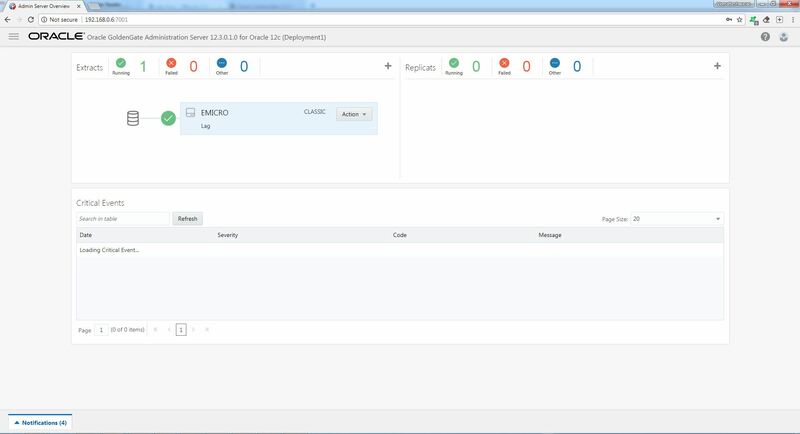 It uses the REST API published by the Microservices Architecture(MA) Servers to accomplish control and configuration tasks in an Oracle GoldenGate deployment. 3. 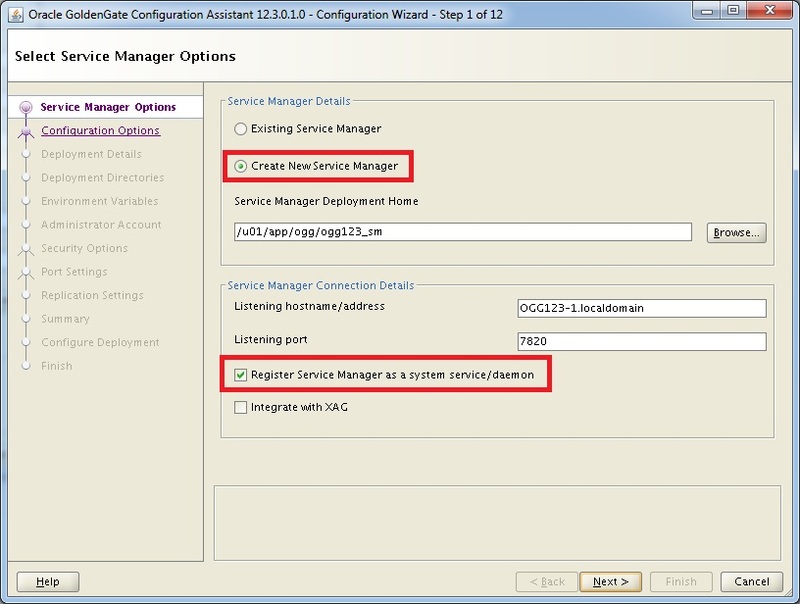 The Admin Client can be used to create and manage processes instead of doing it graphically using OGG MA. 4. 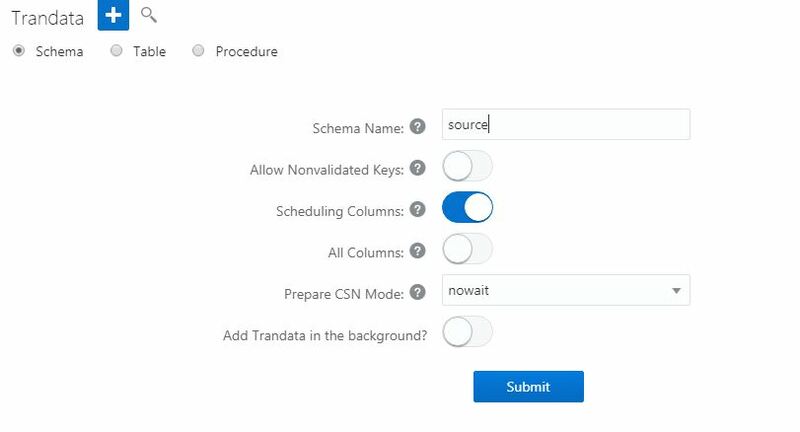 You can use the Admin Client to execute all the commands necessary to create a new Extract, create a custom Extract application using the REST API, or use the Administration Server available with MA to configure an Extract. So, now we would think what is the difference between the GGSCI and ADMIN CLIENT. Below are the differences.